Affordability and Quality is what we offer! While shopping around for any product out there, you’ll be sure to find a wide range of pricing. You’ll see some super cheap and junky products, super cheap and surprisingly nice, mid range options and some very expensive high end ones. Sometimes you can tell a difference right away if something is going to be junk and want to steer away. Sometimes the product isn’t a high priority on your buying list, so you can take a risk and buy a less expensive product and it will suffice. Sometimes you want to go with the most expensive because it might have something you really want that the other options don’t. Often times, the more expensive one is no different but it’s got a known label on it so people assume it’s better. It’s great that there are options for all budgets and needs. Here at Sew Lovely we like to provide both quality and affordability. We have done a TON of brainstorming and research to figure out how to maintain our quality, reduce our production time and save on over priced materials to keep our cost down for our customers. We know that when you’re a new homeowner, covering multiple windows, you may have other things to purchase for your home and have to budget in the window treatments, which can seem add up quickly. While the labor is VERY intensive and it is tedious to make them, and materials are not cheap for the products, we have found ways to lower our pricing to help our customers be able to afford these custom products without breaking the bank. We have found ways to cut back on the time it takes us to make shades. I am now making about 25 shades per week (with the help of my lovely and talented seamstress) and 4 years ago it took me more than double the time to produce that many. We’ve also done many trials and research to find better materials that do not cost as much for us. To many people who normally get treatments at JC Penny or Kohl’s etc, Sew Lovely products are still are not considered “inexpensive,” but they are much more affordable than many other options out there if you have to stick to a budget and also want a nice quality made product that will last years (I have my own shades I made hanging and still looking and functioning beautifully 4 years later!) Also we realize that the customer’s fabric can add up too. Maybe you want to purchase the fabric you absolutely love and it’s expensive so you need to save a bit on the labor to afford them. We want our customers to still be able to purchase their dream fabric and not get hit hard on both the fabric cost and labor. We have some exciting things planned for the new year! I recently received a really awesome sample binder of natural fabrics. These fabrics are made of materials like wood, bamboo and more. They’re so beautiful and a nice alternative to typical shade fabric. I will be ordering some yardage after the new year and making some roman shade samples soon to be certain they will work well for shades. I will be offering this material to customers so they will not have to supply anything for their shades. The shades will look and function much like my current roman shades and can be made with blackout liner, as well. Hopefully, in 2019, we will also have a faster production time. We’re still at about 8 weeks, but I can offer a rush fee option if projects are needed sooner. We look forward to an exciting 2019!!!! Thank you to all of our customers for your support and business in 2018! Happy New Year to everyone!! Many blessings to you and your family! Linen! It’s Pretty, but Often Not For Roman Shades! Linen! Ugh! It doesn’t look pretty for Roman shades ! Linen doesn’t tend to work well for Roman shades. Dowels shine through. Linen- Not enough structure to sides of shade, therefore, won’t be as straight on edges. Not ideal for shades! 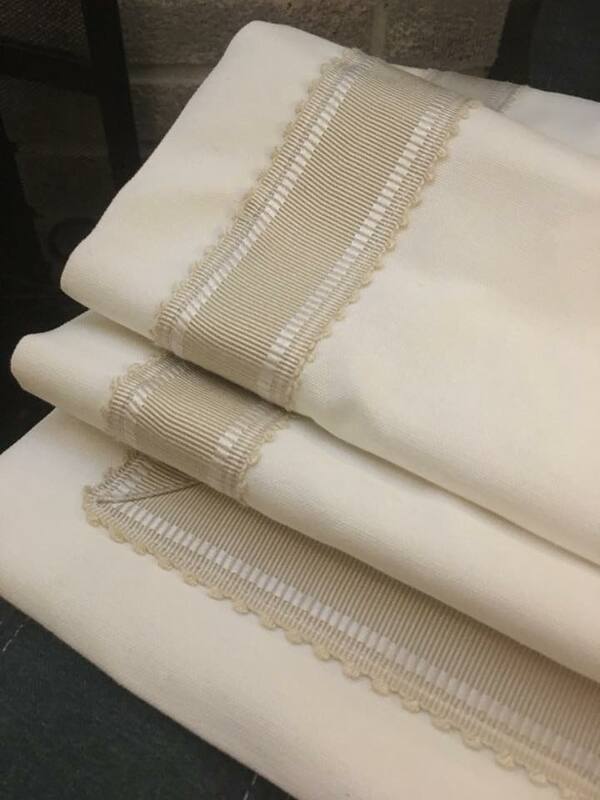 Many fabrics look similar to linen (like the photo above) and have much nicer results than linen. The above is a 100% cotton fabric called ANGELO FOUNTAIN SLUB CANVAS by Premier Prints. Premier Prints make really great Roman shade fabric! And they are inexpensive! Hope everyone reading this had a great summer! It definitely flew by! Sew Lovely had a busy summer, for sure! With just one seamstress and myself constructing them all, we had a lot more work than we could handle. My seamstress worked diligently day and night and sometimes would be sewing 25 shades per week. It’s a lot of work for one person! So I decided to hire on another seamstress to the team! It wasn’t easy finding a seamstress in an era where not many people have a sewing background. I was very lucky to have found Linda, who has a passion for sewing and has been sewing since she was a little girl. She’s seems really enthusiastic about this new opportunity! She loves working with the customers different fabrics and creating beautiful window treatments. With the addition of Linda, we will finally be able to speed up our production time, which is exciting! Many other shade makers sew pockets up the entire shade, making for obvious stitching on the front of the shade. This disrupts the pattern and can also allow more pinholes to shine through the shade. Sew Lovely roman shades have pockets on the back side but the stitching does not go through to the front of the shade. Rings are commonly used on roman shades made by other vendors and in stores. Rings may break with time from sun exposure and also may fall off because they are stitched on. Sew Lovely shades no longer have rings and only have one small stitch up the middle of the shade. This also eliminates light pin holes on the front of the shade, making for a more streamlined, prettier shade. On blackout roman shades, the stitches are covered up by blackout tape on the back, so light does not shine through. The customer can supply any fabric of choice! Many other shops supply fabric but then the customer is limited to fabric options. Sew Lovely shades are made using any fabric. The customer sends the fabric to use directly from any store. The customer can even use an existing curtain panel or shower curtain to make the roman shade. 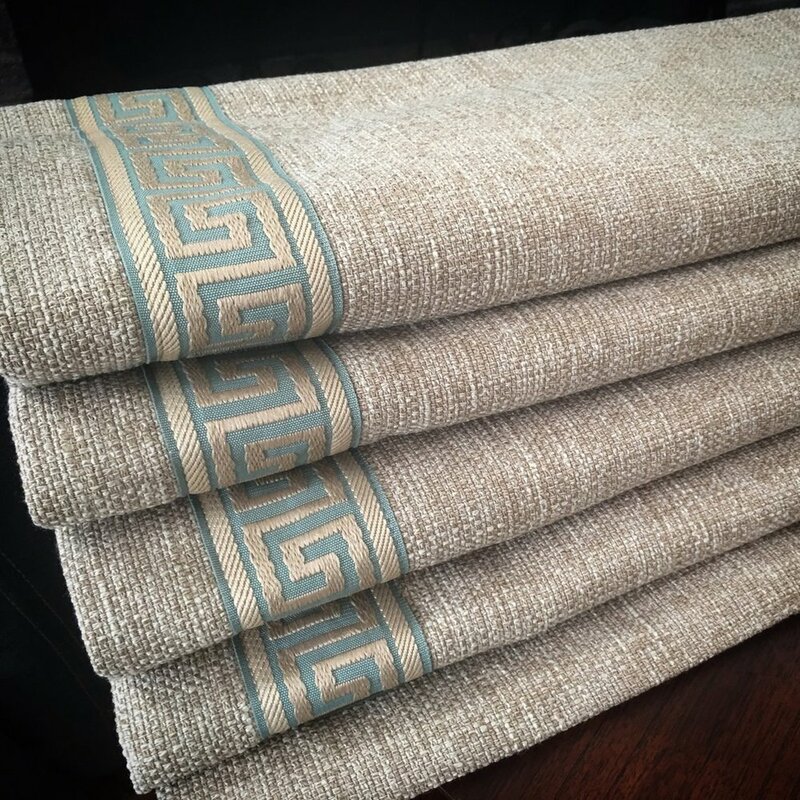 If trying to match decor or a collection, the customer can use the same fabric for the roman shade if they'd like. Sew Lovely saves the customer money on fabric by giving the customer the freedom to send in their own fabric of choice. Other vendors supply fabric, but likely have an up charge for the fabric. Sew Lovely only charges for labor and lining, and the customer can send in their own fabric and find the best deals on fabric. Stores like Pottery Barn have nice shades but they only come in standard sizes and colors. Sew Lovely shades are created in any size, allowing for the best fit in the customer's window. Solar Roman Shades Are Here! Natural light can enhance the function of any room with proper sun management. Phifer’s SheerWeave fabrics are designed to provide high performing solutions to the sun’s harsh rays. Our broad range of sun control fabrics reduce solar heat gain, protect against damaging UV and improve the comfort of any interior space. 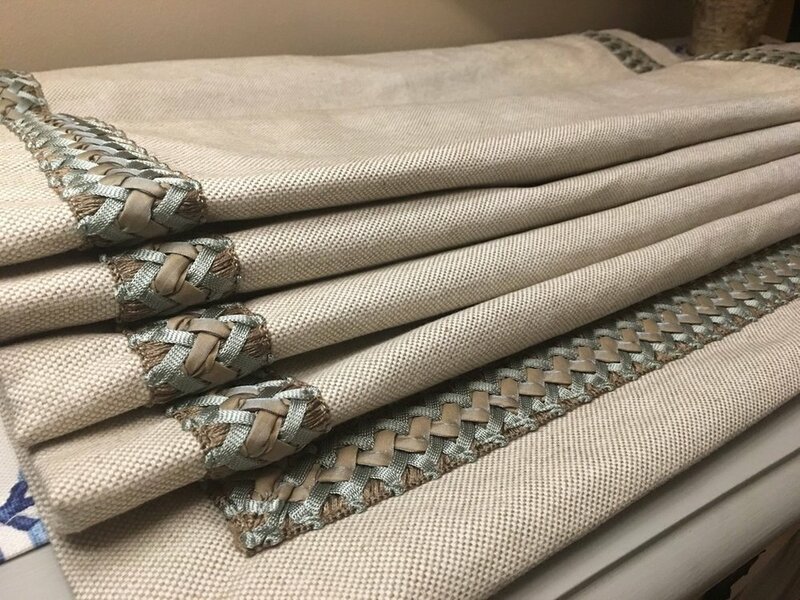 Suitable for the home, office, business, hospitality, healthcare, education, government and retail locations SheerWeave fabrics are durable and easy to maintain. 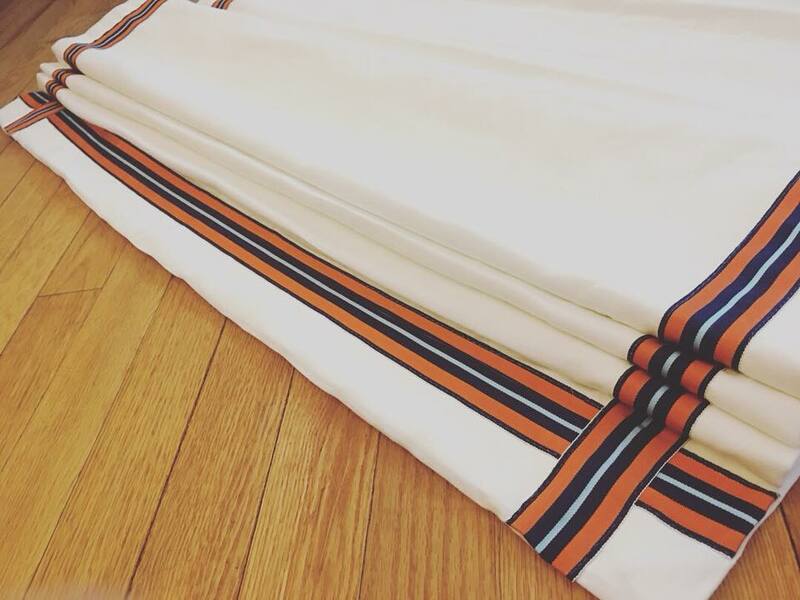 Quality made in the United States, SheerWeave fabrics are the perfect complement to any decor." Below are some fabrics that I have available to make Roman shades with. You may choose from 1%, 5% and 10% openness. The higher the number, the more sunlight will shine though. Check Out These Beauties! Lovely Trimmed Roman Shades! This week I made some beautiful trimmed roman shades! A lot of people ask me about linen recommendations. Here is a fabric that is actually NOT linen, but it looks a lot like linen and it works nicely for roman shades. Linen blends and 100% linen fabrics come in many different weights, so it's really hard to know if a linen will work well for my shades. I've seen very light weight linen, loose weave linen and thicker linens. Some linen has texture and some does not. It's really hard to tell without seeing it in person. But this fabric (pictured below) is polyester but it has that linen look. It says "lightweight" on the description online but it's actually a nice medium weight. 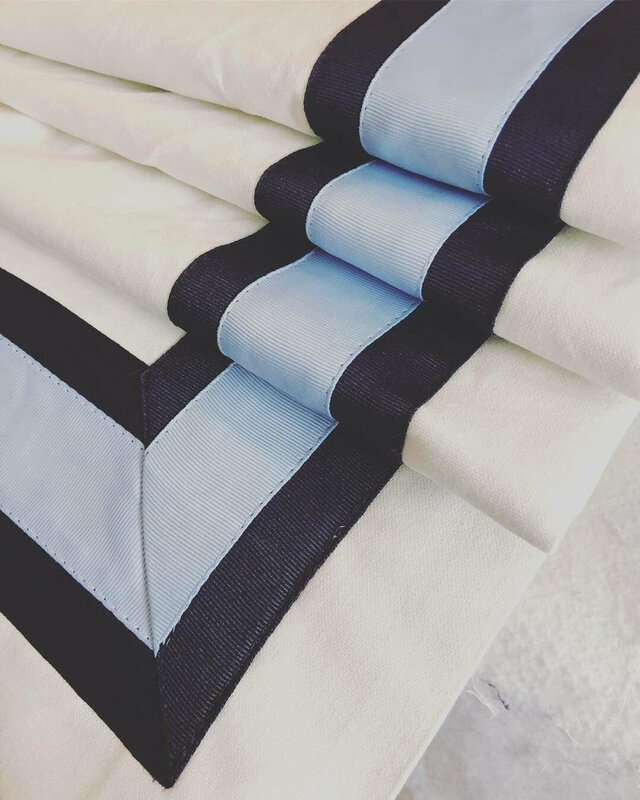 Paired with some trim, this solid fabric will compliment many styles and decor. It works nicely in a room that uses pattern in different places like rugs or furniture! The trim adds just enough "pop" and ties the room together. This fabric is by Premier Prints and can be found online on fabric.com and other sites! It's called Jackson Macon Caramel Tan. It also comes in other colors. Recently, I took a wonderful vacation to Italy and it was a great experience! I saw so much in 6 days! We flew to Rome and saw the Colosseum and Vatican. We took a 4 hour coastal drive down to the Amalfi coast to Positano and the Pompeii Ruins. We took a high speed train from Rome to Florence where we rented vintage 500 Fiats and took a group ride through the Tuscan hills and stopped at a winery to sample some wine and cheese. We took a train from Florence to Venice where we took a gondola ride through the canals and enjoyed paradise city! I loved the architecture and old villages that we saw. Run down and chipped paint on buildings never looked so beautiful! I especially loved the window treatments, doorways and flower pots on a lot of homes. I saw a lot of roman shades while I was there. Some were in bad shape and could use a Sew Lovely update! lol. The homes there do not have screens, so they have shutters that actually work and use window treatments to block out the sun and bugs. Our hotel room in Venice had really amazing drapes and valances. The ceiling was trimmed out with cording and the walls were fabric! I wanted to share some of the pics I took of their window treatments. Enjoy! Check out the intricate trimming around the beams! Busy Weekend! The Life Of A Shade Maker! Busy weekend making shades! Completed 25 shades this week and most of them were large ones. As many know, I have a wonderful seamstress, Yolanda, who has been working for me for the past 1 1/2 years. She's a great find!! She has over 25 years of sewing experience and her skills are of perfection! So happy to have her along to help me. She's been so consistent with her work and works really hard. I get fabric delivered to me by the customer then I write up all the orders on an order form, which takes a great deal of time bc I have to check to make sure the customer did not update measurements via email or make a change etc. after the order was placed, and I have to be sure the measurements are exactly correct. Also, I get a TON of fabric delivered to me each week, so I have to be sure I have the correct fabric attached to the right person's order. Yolanda comes to drop off her work and pick up new fabric every week. I normally fill her car up with giant fabric rolls and boxes every week! Her job is important because she has to accurately cut the fabric and sew it to the right size and then space the rings out accurately. She presses the shades and returns them back to me looking amazing! I then take the shades and complete the construction during the week. I try to get all of the shades done before she comes again the following week. On average, she brings 17 shades a week to me. I cut dowels and slide them into the pockets on the shade, cut and tie on the cords and measure the length to finished shade length according to my order sheet (I have this whole thing down to a routine!) I then measure the top board and hand them off to my wonderful husband, who cuts the wood to size for me. I then attach the boards to the shades and let them sit overnight to dry. The next day, I affix all of the screw eyes and hardware to the shades and string the cord through the cord lock. I put a knob at the end and then the process is complete!!! I gather the mounting hardware and bag it up and put it all in a big box. I weigh the box and create a shipping label and then tape it up! Schedule a USPS package pick up and out they go!!! The whole process of making a shade is a little time consuming and tedius, even with my seamstress helping out, but I've managed to get my timing down and fit the little steps of the process in throughout the day whenever I can. I've also gotten a lot faster in the past 6 months, due to making small changes and making things more convenient for me (just simple things like creating a form for myself for orders so I don't have to manually write down things, and moving my workshop around). For instance, my son goes down for a nap and off I go to my sewing room to work on a step. If my parents come over to watch my son, I usually take advantage of the free moment to get some work done. When everyone is off to bed at night, I usually sneak in some time to work on shades then. In between making them, I'm responding to several emails for inquiries, providing yardage estimates and doing a lot of calculating and ordering supplies. I have to make sure I order enough lining fabric each week for Yolanda to attach to the shades, and order a bunch of supplies from various vendors and keep track of inventory so I have everything I need to complete the shades. So there you have it... The life of a shade maker! HA!!! Sew Lovely roman shades now have break-a-way cord condensors/knobs. 3 white cords come down one back side of the roman shade, about 2" from the edge. Each string controls a different part of the shade and when pulled together, the shade goes up and down. You may sometimes need to adjust one string to make the shade even. The cord condensor holds these 3 strings together at the end. The condensor is a breakaway, which means if a child or pet tries to pry their head into the cord loop, the force will cause the strings to break free from each other and breakaway the loop that was created, so it's much safer for children. Keep in mind that if you tie a knot above the knob at all, the child safety function will not work properly. It is still highly recommended to tie off the cords up high so that a child is not tempted to play with them. You can find cord cleats like this online for very inexpensive. Fix My Blinds sells them for just .70 cents each, as well as some other great shade products! People Are Loving the Grosgrain Ribbon Trim Roman Shades! 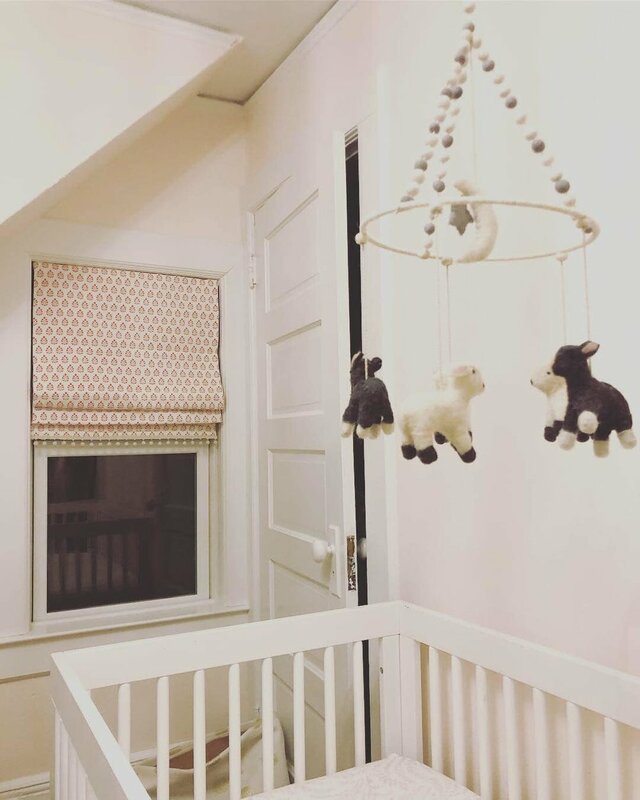 I decided to do a little search for Roman shades on Pinterest today and I happen to see my lovely grosgrain ribbon trimmed shades (the ones that mimic the Pottery Barn shades) on a few Instagram and websites, Newport Cottages and Decor For Kids, to name a few! 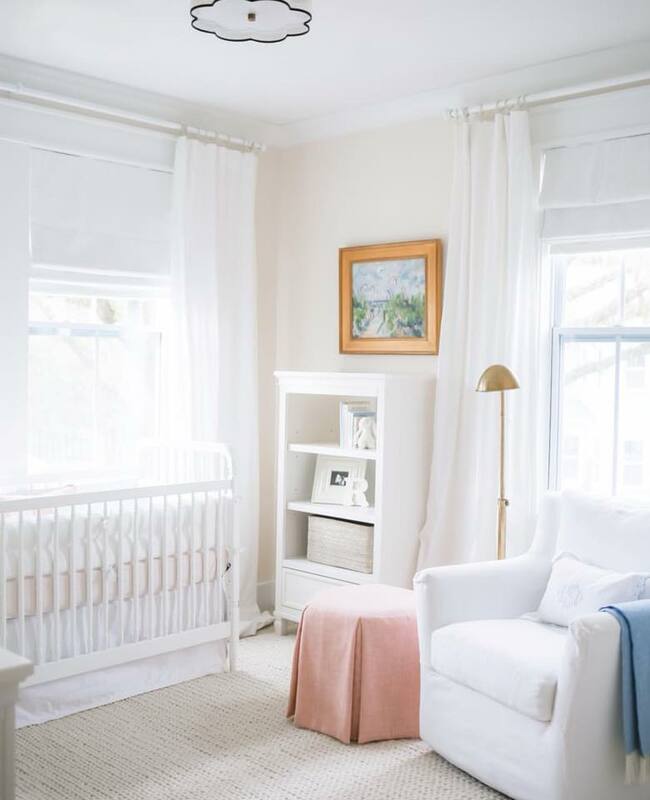 Newport Cottages sells adorable decor, cribs and furniture for nurseries and kids rooms and Decor For Kids is a popular Instagram page that features fun and beautiful nursery interior designs. Sew Lovely Presents Our New Online Store! 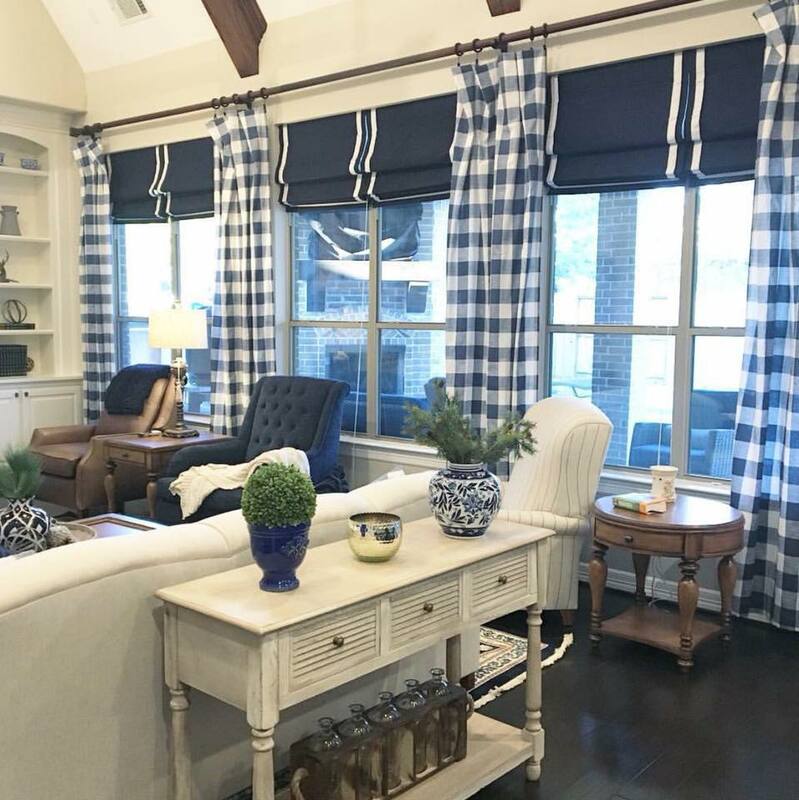 We're excited to announce that our customers can now purchase custom roman shades in any size or fabric through our website, right here, on sewlovelybykelly.com! Up until now, our shades could only be purchased via Etsy or if there had been a convo. and an arrangement set up to purchase with PayPal, check or in person. Now, you can just check out the listing and select the range that your window size fall in and all the other options, and purchase with ease through direct check out! We accept major credit cards and PayPal! We think this will be such a time saver for customers because they do not have to email and wait for a quote and custom listing, and the price is listed up front. 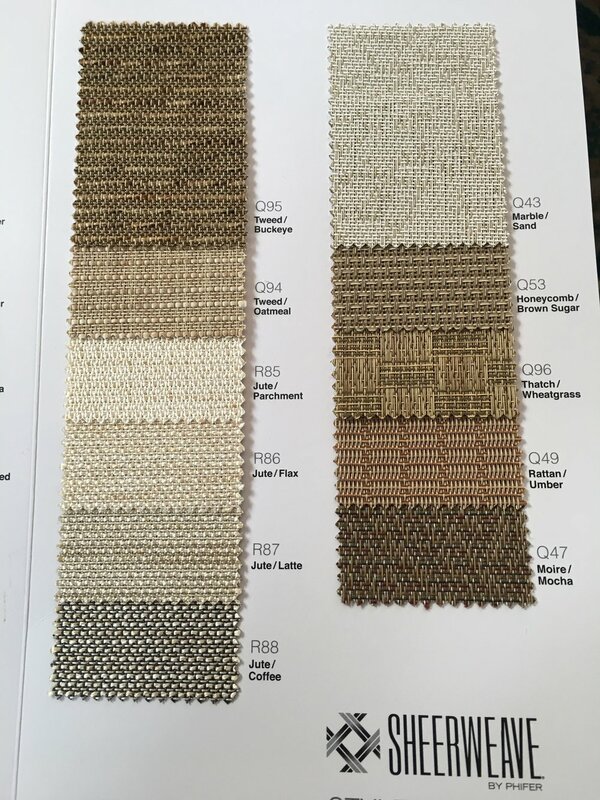 We hope to add more and more products to our website like custom shades in specific popular fabrics and patterns (for customers who do not want to select their own fabric). Greek Key Ribbon Is More Unique! I get so many requests for Pottery Barn style Roman shades, and I've made so many of them in the last few years. I know exactly what the customer means when they email me "I want to replicate the Pottery Barn trim shades." The shades are solid white with a solid colored grosgrain ribbon along the sides and bottom. The shades are lovely but there are so many other ribbon options out there that can compliment patterns in a room and different color schemes. Take for example, the Greek Key ribbon. I absolutely love this ribbon!!! 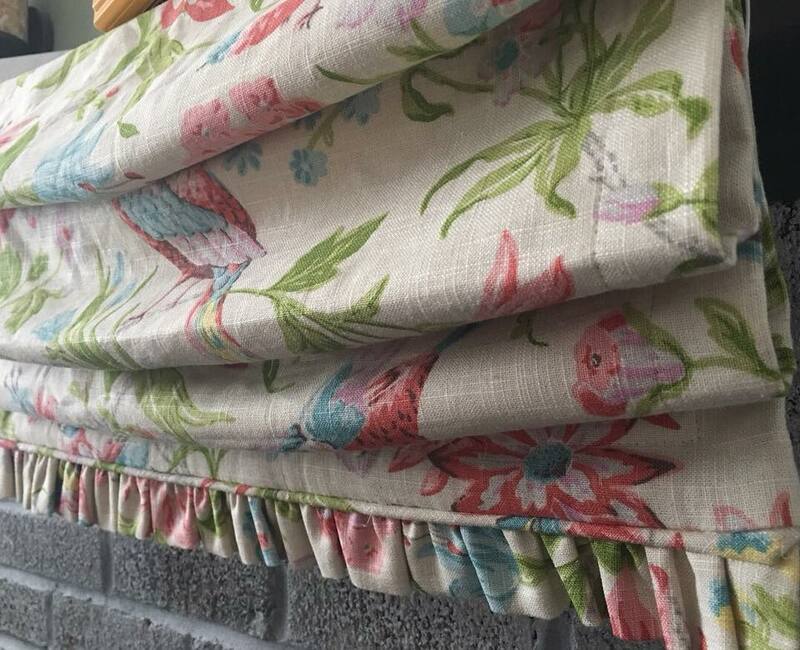 Take a look at how it looks as a border on Roman shades! Greek Key Ribbon is available in many stores online and in many color options!!! A customer just sent me her fabric, along with some Greek Key Ribbon and I can't wait to make them and see how lovely they turn out!! You may copy and paste this form in an email to me and fill it out with the correct info for your request if you'd like. It makes it easier for me so I know all of your details. Why Buy Custom Drapery or Roman Shades? Considering an entire room when designing custom window treatments can unify the theme of a room perfectly. Extending custom treatments throughout your home helps tie together design elements and tells your own, unique story. It is easy to get a “designer look” in your own home with a few quick tips. Consider style. Is it casual or formal? Are you drawn towards clean, contemporary lines, or are you looking for a more ornate, lush effect? Examine function. Do you need to control light? Does the heat from the sun overwhelm the room, or is it cold and drafty? Get inspired. Comb through magazines, online design galleries, or even television and the movies. Learn what looks are trending or discover what catches your eye. Look to nature. Color, texture, design. Bring the outdoors in and frame your landscape as you would a piece of fine artwork. Choose your fabric. Start with five to ten samples of fabrics you really love. Order samples to see how they work in your space and light. Create. Try a monochromatic backdrop with pops of color as accents or bold statement fabrics as contrast. Balance and Harmonize. Distribute a dominant color or pattern around the room and accent with coordinating colors and patterns. Mix and match. Don’t be afraid to combine colors, textures and patterns. Play with scale and experiment with blending. Almost done! Look at your space with a critical eye. Do you need to consider a light switch or thermostat? Is the window frame deep enough for an inside mounted shade? Don’t forget the details. Have fun! And make your space your own. When you opt for custom, anything is possible. The wide selection of fabrics makes the choice of colors and patterns nearly limitless. Super formal or super fun. Project your style by choosing a print that tells a story, add custom borders to drapes, or layer window treatments with panels, shades and valances. Finish the look with gorgeous hardware. Functional drapes can add to the energy efficiency of your home. Thermal lining can block drafts and protect against damaging sun. Custom window treatments can be functional or decorative, fabricated to your exact measurements and created to operate flawlessly. Choose a design that softly filters light or opt for complete block out. Alter, compliment or obscure a view in the room or outside. With custom drapes, shades and valances, you will be sure to achieve your design objectives. Fine fabrics and expert craftsmanship combine to bring you the highest quality window treatments that cannot compare to off-the-shelf options. Custom treatments are hand finished and designed to last. Consider them an investment in beauty and function.